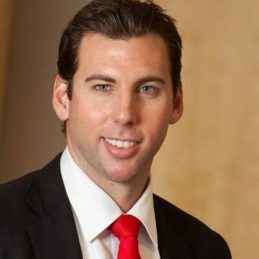 Grant Hackett’s leadership, professionalism, dedication and exemplary performance are a model for anyone whose work calls them to lead by example. In 2005 Grant was named Captain of the Australian swimming team, and it is not surprising that his nickname soon became “Captain Fantastic”. Grant was named World Swimmer of the Year in 2005. He has held the world record for the 1500m freestyle since 2001 and the 800m freestyle since 2005. Grant is easily Autralia’s most medaled Olympic and World Cup swimmer. Grant retired from swimming in 2008. His story in and out of ‘the fast lane’ is a master class tour in performance management, harnessing effort and doing the simple things very well. It is no surprise that Grant’s next chapter is proving to be just as successful. Grant is now the Head of Sports & Entertainment for Westpac, and is a TV presenter for Channel Nine. He also holds a Bachelor of Commerce and a Bachelor of Law, has a Diploma of Financial Services, and is currently undertaking an Executive MBA. Grant is an Ambassador for Westpac, Uncle Toby’s and Mitre, and is also involved in the Alannah & Madeline Foundation, the Preston James Research Fund, and the Surf Life Saving Foundation.